Claudia Breidbach is pilot with Touch Bionics in the Powered Arm Prosthesis Race. 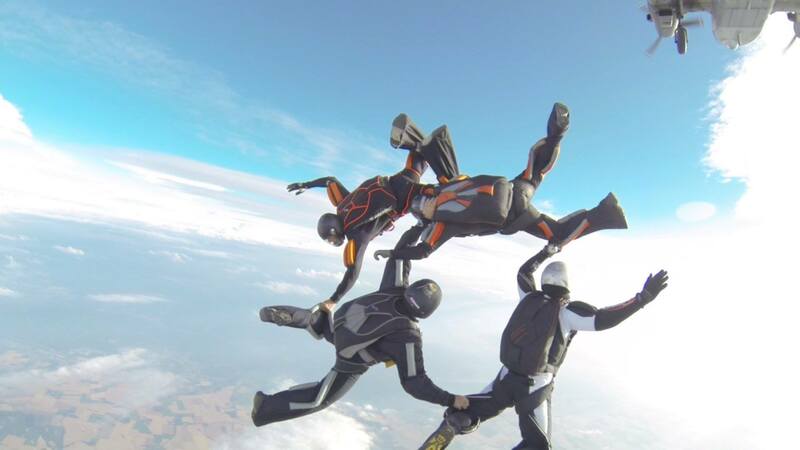 When Claudia isn’t preparing for the Cybathlon, she can be found competing with her skydiving team, KARMA. Tell us a bit about yourself, where do you live? How old are you? I am Claudia Breidbach. I am 45 years and live in Koblenz, Germany. I was born without my left arm but this has never stopped me in perusing my dreams. I am a sports enthusiast, always happy, fun, content and ambitious person that isn’t afraid of challenges. I love to inspire and motivate others to do better. I am also a certified skydiver with my 4-way team KARMA with whom I was able to take part at the 2015 German Skydiving Championship. How / when did you first hear about the Cybathlon? I first heard about the Cybathlon during the Swiss Handicap Exhibition in Switzerland in 2014. I have a variety of things that motivate me to take part. Firstly I want to show what is possible nowadays thanks to amazing technology and want to motivate as many people as possible to thrive for more. I set my goal at finishing every task with the correct posture and grips. Also, I am a highly motivated and ambitious person who loves challenges but the biggest motivation is that there was NO woman in the Category of Powered Arm Prosthesis and this was an absolute no go. Which race are you competing in? How did you get involved with your technology team? Since discovering Touch Bionics and their great technology in 2010 I followed the developments and in 2014 I started working with Touch Bionics as an Ambassador in my leisure time. In October 2014 I was able to fulfil another dream, to work in a field close to my heart, when I started as Training Manager for Germany for Touch Bionics. Do you have a long standing relationship with them or are you new to each other? Yes, my first contact was established when I visited the OT World exhibition in Leipzig in 2010 with my Technician. I saw the prosthesis and knew that this was my hand. I finally received my first Touch Bionics hand, then the i-limbTM pulse in 2011 and had my upgrade at the beginning of 2014. At this time I also started to work with Touch Bionics as their ambassador and was blessed to take part at many exhibitions like the CeBit 2014 where I met England’s then Prime Minister David Cameron and our Chancellor Angela Merkel and shook their hands – the left hand of course! During this time I met Bert (Pot, also competing in the Powered Arm Prosthesis Race for Touch Bionics) and since then we have established a strong working relationship during various events and have become friends. In October 2014 decided to change my career and quit my job as an architect at the City of Koblenz to work as Training Manager at Touch Bionics’ German office. In June 2015 work supplied me with an i-limbTM quantum ‘Extra Small’ for training purposes; this is the hand that I am allowed to showcase at the Cybathlon 2016. How is this relationship working? Have you started training with the technology yet? How often do you see each other? The relationship has thrived and evolved over time to a strong connection – it has become my life. My daily activities offer me many possibilities to improve my skills and bring me new challenges to master. Bert and I started training in May and meet up every now and again to check on grip positions and decide on a game plan for the Cybathlon. We work together, it makes us stronger and we will reach our goal. This is our Team spirit. 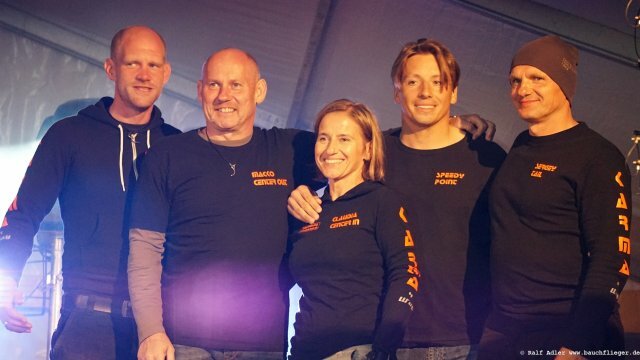 What are you most looking forward to about the Cybathlon and what do you hope to get out of the experience? I look forward to meeting other pilots and companies as well as interested people and make new contacts. I hope to showcase to people what it means to master life with a prosthesis and to gain a new and valuable experience. I also want to show what is possible today with technology. Are skintight suits the future of robotic exoskeletons?